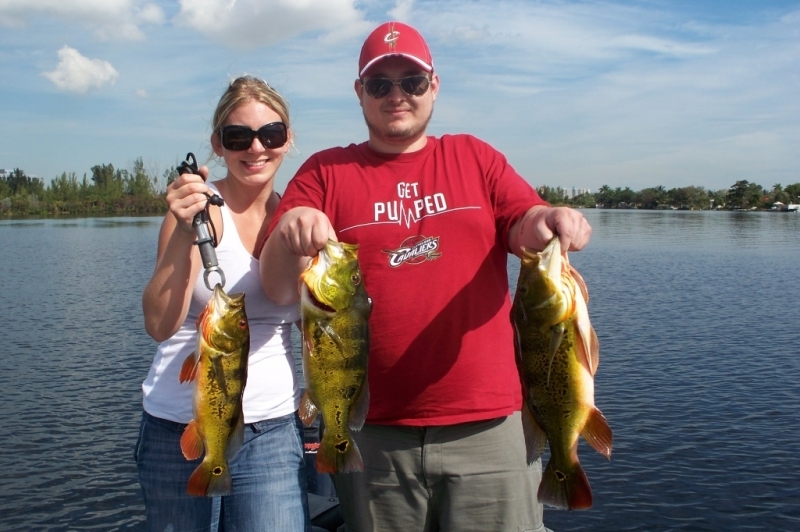 Today I had the pleasure of taking out Stacy & Jamie Kloos from Lakewood, OH on a peacockbass adventure in South Miami. We only had a short time to work because time goes bye so fast when you are on the water, so I jumped around to a few areas that I knew the fish would be hiding. Luck has it, every spot we went to we caught fish. The peacock bass today were caught on shinners and rattle traps, by the end of our 6 hour trip we caught 15 fish up to four pounds as seen in the picture above.